Termites can attack a rose bush and ring bark it. The bark is eaten close to where the main stem comes out of the ground. When: Prevalent in drier periods, but can occur any time of the year. Where: common in coastal KZN and Midrand, Gauteng. Remedy: apply Karbadust or Blue Death powder at bottom of holes prior to planting. Applying these insecticide or Plant Care, Termidor, Chlorphiriphos or Dursban to the root area as a drench. 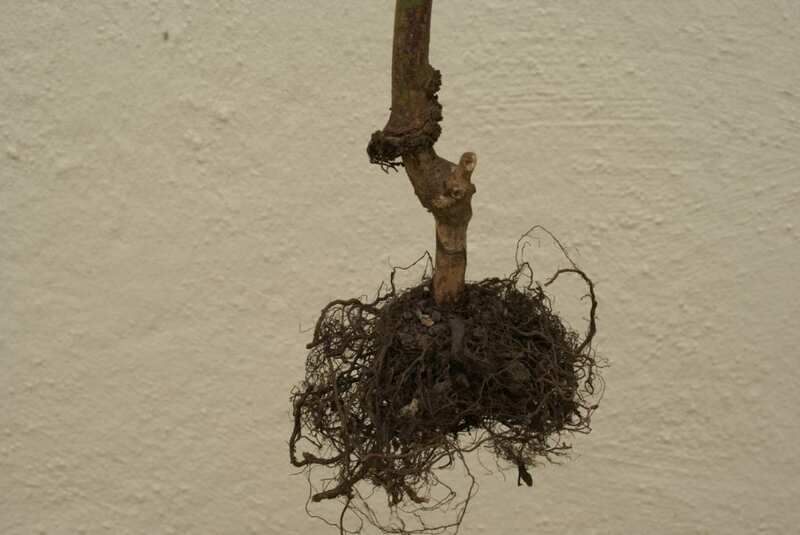 Effect on plant: death as the phloem would be severed and food can no longer flow to the roots. Info: Termites in search of moisture that happen to find rose bushes growing happily, have no qualms in attacking and ring barking the rose bush. If you experience such problems in your garden, it is easily solved by applying an insecticide regularly as per the above recommendation. In the warm winter areas of Natal we have termites that eat and ringbark the roses throughout the year. The only way we can prevent the termites eating the roses is to apply poison like Dursban or Chlorpiriphos every three months to the base of the rose bush and the poison must touch the stems at the base of the rose. Flying ants are future kings and queens, who have wings for the sole purpose of leaving the nest in order to make a new nest away from the original one. They usually come out of the nest after rain, as they need soft soil to make their new nest. The wings are shed in a second and the female sends signals to attract the male and if the female is isolated she will put her bottom in the air and send signals that will attract a flying male from as far away as two kilometers. He will find her, shed his wings and they will immediately start looking for a new nest, perhaps in your garden. She will then lay her eggs and thousands of termites will hatch. Newly planted roses as well as established roses and other woody plants attract them. Termites are blind and will often travel 3 inches below the soil, they also never sleep and will eat day and night. If the queen is killed or removed the whole termite nest dies. One can only prevent termites from eating by treating all woody plants with ant poison. Once termites have ring barked a rose they seem to vanish, you will never find termites after the damage has been done. People are often mystified because they see no ants and they wonder why the rose has died. The rose is often ring barked just below the surface, sometimes the roots are eaten as well. When I went looking for the records of the Botanical Gardens to see what roses they grew in 1865, I was told that there were none as the white ants had destroyed them.